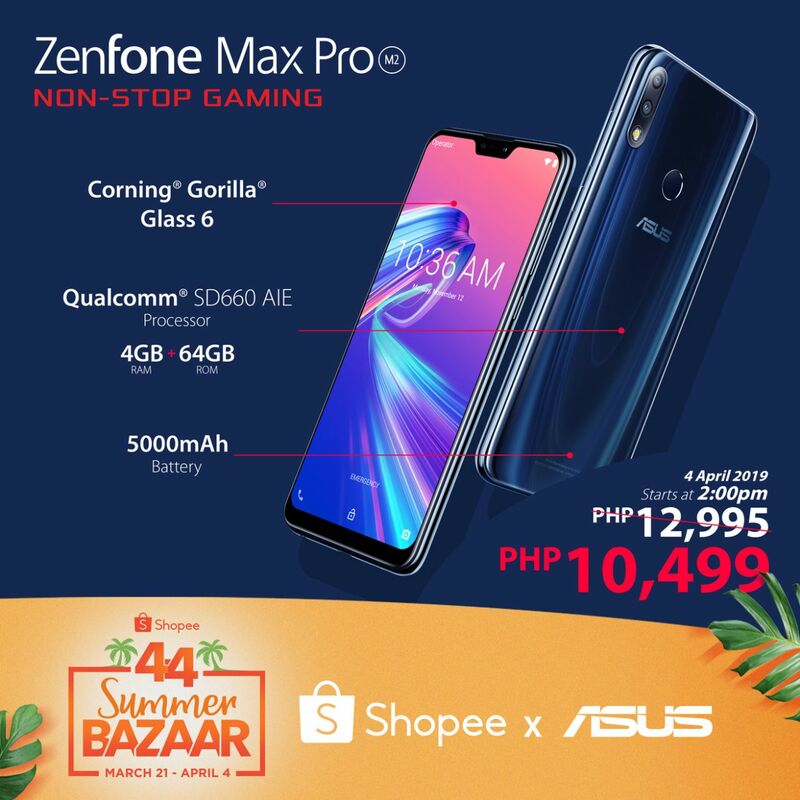 Home / android / asus / camera / sale / shopee / smartphone / Asus ZenFone Max Pro M2 will be on Sale at Shopee 4.4 Summer Bazaar. The ZenFone Max Pro M2 promises a ZENsational summer with its 5000 mAh battery capacity, which can last for hours without the dire need to recharge. Coupled with the Qualcomm™ Snapdragon ™ 660 processor, $GB RAM with 65GB Internal Storage. the ZenFone Max Pro M2 can also perform smartphone functions and more, smoothly and without performance hiccups. Moreover, its 12MP+5MP dual rear camera can catch any summer memory in clear detail with the help of its specialized 13 AI Scene Detection. Check out the details below for more information on the ZenFone Max Pro M2, and tune into Shopee on April 4, 2019.